I have never used a scale before, not for anything! I swear! This little guy cost under $20 on Amazon and is a breeze to use. The tea I am measuring was chosen to get the Puerh taste and memory out of my mind and tongue as fast as possible and is the wonderful Pure Bud Bi Luo Chun Yunnan Spring 2015 that Scott sent me from Yunnan Sourcing. 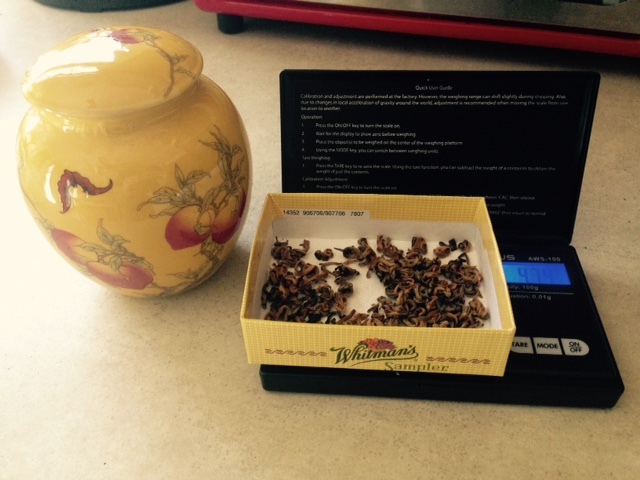 Going to go use my new scale and make it just right!